A long time ago in a galaxy far, far way… die-hard Star Wars fans dreamt up the wildest theories. However, like a interesting plot twist many of these theories came true. The Star Wars franchise has one of the most loyal fan bases, so fans have spent years coming up with the most outlandish fan theories. Well, it turns out they’re not so outlandish after all. The Star Wars universe includes movies, TV series and other merchandise. Filmmaker George Lucas is the mastermind that created the Star Wars galaxy. The first film debuted in the late 70’s and quickly became a major hit. Additionally, the franchise continues to produce new films. The main films revolve around the Skywalker family, while the series has branched out and created original spinoffs as well. Fans stand in line for days to watch the newest Star Wars film, as he films create a fan hysteria never seen before. The legacy will carry on and the films have transcended time. As a matter of fact, it creates new fans every day. As the fan base continues to grow, so do the fan theories. They become wilder and more outrageous and while some fan theories end up being way off, that’s not the case for all of them. In fact, some of the most insane theories were correct. Other predictions were close but just a little off the mark. Fans might have laughed at first but these theories changed the universe. Here’s 20 Crazy Star Wars Fan Theories That Were Confirmed. Fans will never forget his dark yellow eyes and evil grin, as the red and black face of fear is etched in their memories. Episode I: The Phantom Menace disappointed fans but the Sith Lord Darth Maul left a lasting impression. At the end of the film, Obi-Wan Kenobi defeats Maul and cuts him in half. Presumably, Maul fell to his end but fans wouldn’t accept that. Many fans believed he used the dark side of the Force to survive. The felt he was too interesting to only appear in one film. 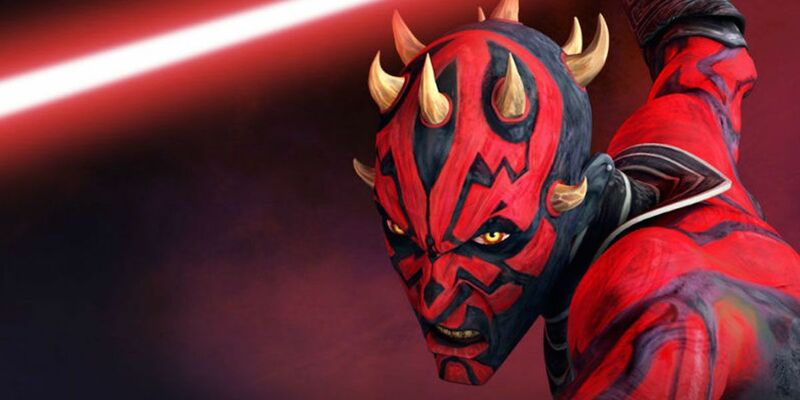 Clone Wars the animated series reveals that Maul did survive. He ended up on the junkyard planet Lotho Minor and lived off of vermin. He also built mechanical spider legs, which he later replaces those with metal legs. He made his return to the big screen in the 2018 film Solo: A Star Wars Story. In 1977, Episode IV: A New Hope changed cinema forever. The iconic music blared through the theatres and the unforgettable scroll appeared for the first time. It’s also when the fan theories began. 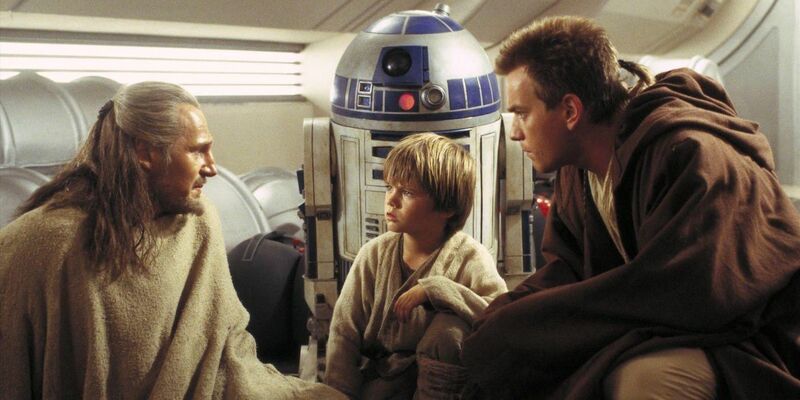 In the film, R2-D2 delivers a message to Obi-Wan Kenobi. At the time, R2 claims they know each other but Kenobi denies it. Fans immediately thought Kenobi was lying to protect Luke. The prequel movies strengthen the theory since they clearly know each other. There’s nowhere to run. There’s nowhere to hide. The galaxy is vast but not even Luke Skywalker can hide from Star Wars fans. 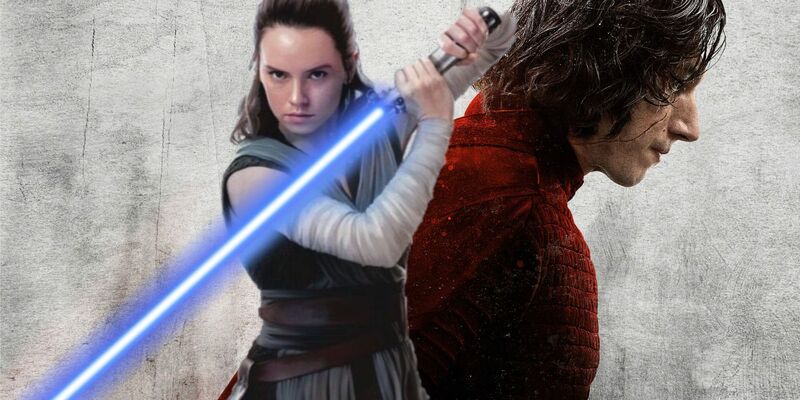 Before Episode VIII: The Last Jedi hit theatres, fans were already coming up with theories. In The Force Awakens, it’s revealed that Luke’s hiding on Ahch-To. However, fans pointed out the Jedi Temple had never been mentioned. They assumed the temple was difficult to find. Fans soon came up with a theory tied to Star Wars Battlefront II the video game. It hit stores a month before Last Jedi came out. In the game, Luke discovers a rare compass in one of the campaigns. Fans theorized that Luke used this compass to find the Jedi Temple, as it seemed too easy for Luke to find the temple on his own. Fans assumed the compass was the key to finding Ahch-To and The Last Jedi visual dictionary confirms Luke found Ahch-To by using the compass. Jar Jar Binks is one of the most polarizing characters in Star Wars. 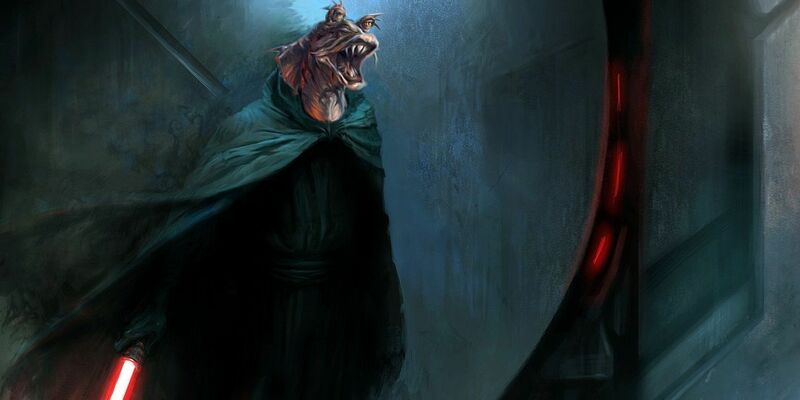 However, one theory suggested that Binks was actually a secret Sith Lord and not a bumbling buffoon. He first appeared in The Phantom Menace but he stirred up a lot of controversy. Critics hated him and George Lucas reduced his role due to the backlash. In Force Awakens, Rey has a horrifying dream. In the dream, she sees Kylo Ren lead the Knights of Ren into battle. Fans immediately suspected that The Knights might be connected to Luke Skywalker. However, the Knights remain a mystery. Fans also wondered about the fate of Luke’s other students and most assumed Kylo wiped them out. 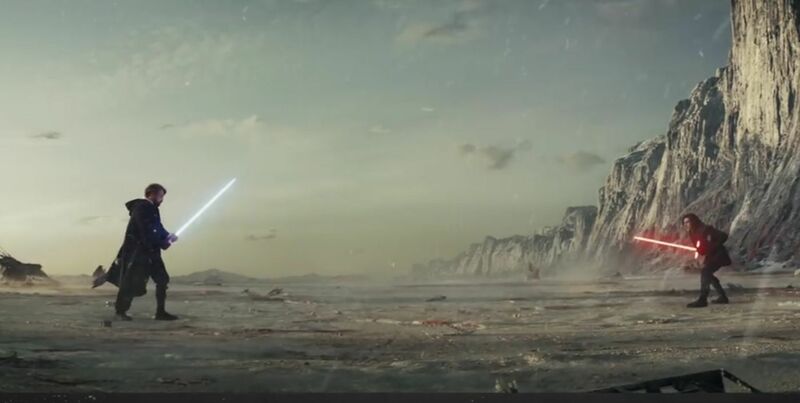 Fans started to connect the two and predicted the Knights are Luke’s padawans. 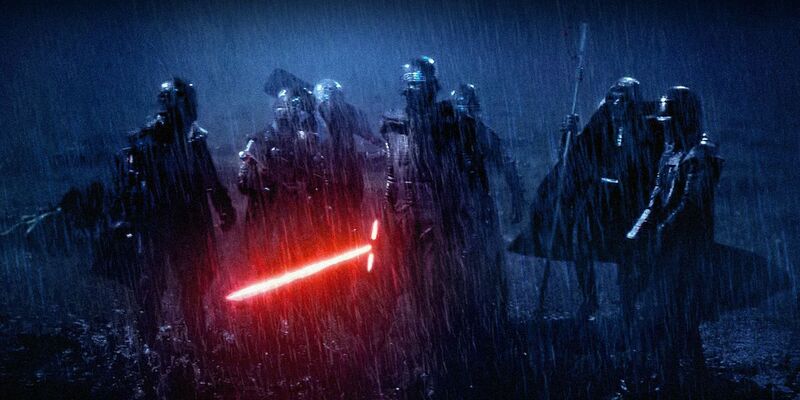 The Knights didn’t appear in Last Jedi, which disappointed fans. However, they believe there was a reference to the Knights. Luke reveals that Kylo betrayed him but also turned his students against him. This confirmed the theory for many fans. However, Luke never stated that the Knights were his former students. A minor scene in the 1982 film E.T. the Extra-terrestrial created the craziest fan theory. Fans began to theorize that E.T. and Star Wars exist in the same universe. E.T. revolved an alien stranded on earth. He enlists the help of a young boy to get back home. During Halloween night, E.T. 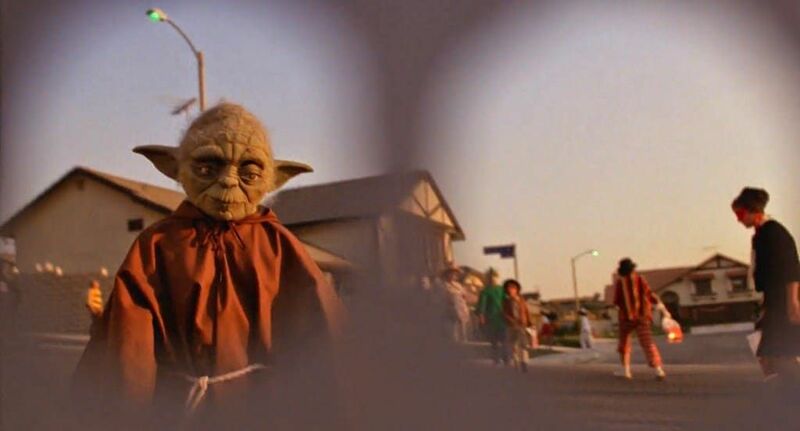 sees a boy dressed up as Yoda and yells “Home!” Most audiences dismissed the scene but not Star Wars fans. They proposed that E.T. recognized Yoda because they come from the same universe. It’s one of the wildest theories that fans came up with. Apparently, it’s not so wild after all. In the Phantom Menace, E.T.’s fellow aliens are members of the Senate. It’s even possible that E.T. is one of them. This confirmed the longstanding theory for the most loyal fans. Never doubt a Star Wars fan. Leia is more than just a princess. She’s a general, a leader and a warrior. She also rocks the cinnamon buns hairstyle better than anyone in the galaxy. For decades, fans theorized that Leia must be Force sensitive like her father and brother. This theory first surfaced in the early ’80s, but fans had to wait over 30 years to find out the answer. The original trilogy featured many plot twists, like when Darth Vader revealed as Luke’s father. The other big twist is Luke and Leia are siblings despite kissing in A New Hope. Audiences assumed this meant Leia’s Force sensitive as well. However, Leia never uses any powers like Luke does. On the other hand, a few times she was able to sense Luke and knew where he was. This strengthen the fan theory and the sequel trilogy confirms that she’s Force sensitive. In fact, she appears to be a very powerful Jedi. 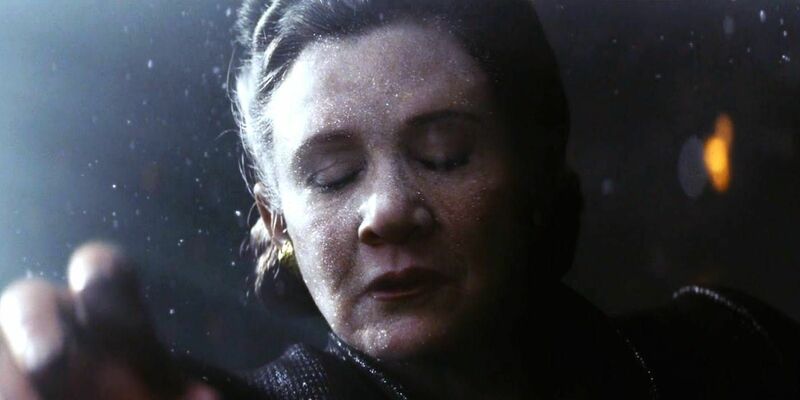 In The Last Jedi, she’s able to survive nearly passing away by using the Force. When The Force Awakens was first announced, every fan turned into a five-year old the night before Christmas. They ran in circles and bounced off of walls. Due to the excitement, fans analyzed the trailers numerous time. 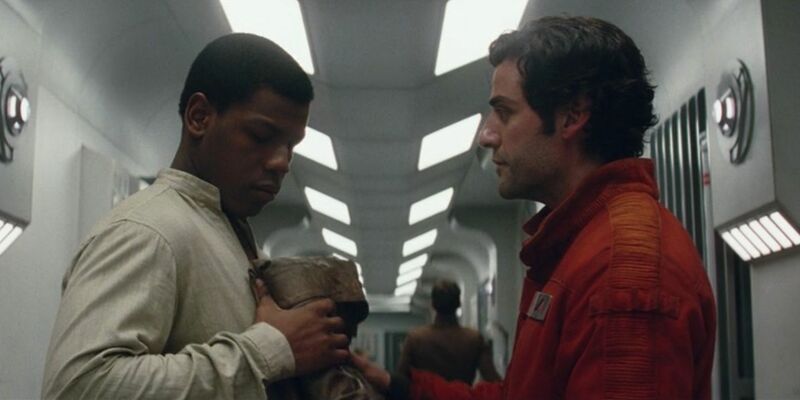 In the trailer, fans noticed Poe Dameron’s name written on Finn’s jacket. The average fan thought it was just a jacket, but loyal fans knew it was a clue. It was a minor detail that played a huge role in the film. In fact, they correctly predicted a main plot device. They theorized that The First Order captured Poe and Finn would help him escape. During the escape, Poe either passes or betrays The Resistance, so Finn would then end up with Poe’s jacket. Fans correctly predicted the mission and encounter with Finn. The theory was close and just a bit off. Poe doesn’t pass but Finn assumes he’s gone. Poe’s jacket went on one wild ride through the galaxy. The Force Awakens introduced a new mystery that nearly consumed the galaxy. It revolves around an orphan named Rey. Rey’s appears to be a simple scavenger but there’s more than meets the eye. One of the most intense theories regards the identity of her parents. She only remembers being left behind and nothing else, so her mysterious backstory sent Star Wars fans into overdrive. They created a million different theories. The most popular theories suggests she could be a Skywalker, Solo or Kenobi. According to another theory, it’s possible that her parents have no real importance. Fans feel it’s too simple for Luke to be her father and they prefer if she’s not related to anyone. In The Last Jedi, fans feel this theory came true, as Kylo tells Rey that her parents were nobody special. This confirmed the theory for many fans. 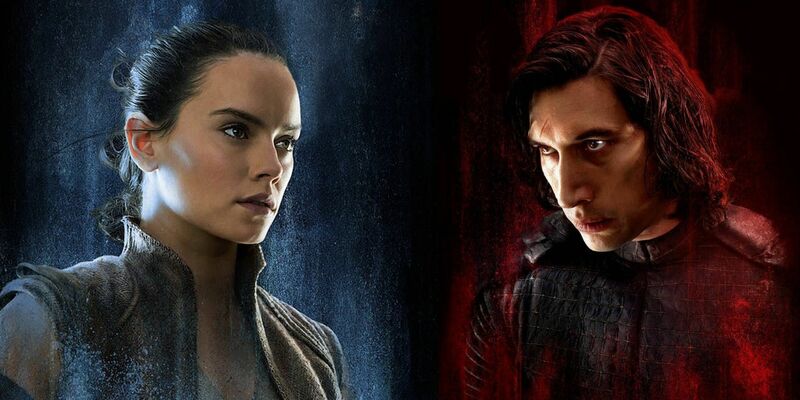 Other fans disagree and predict Kylo’s just lying to Rey. Darth Vader strikes fear in the hearts of audiences, as his intimidating sight and presence is certain to cause nightmares. He’s a central character that doesn’t appear in the sequel trilogy. However, fans predicted that he’d appear in the Star Wars anthology films. In fact, before any plot lines were leaked, fans predicted Vader would return. Rogue One’s the first film in the anthology. It takes place right before the events in A New Hope and it revolved around the mission to steal the plans for the Death Star. 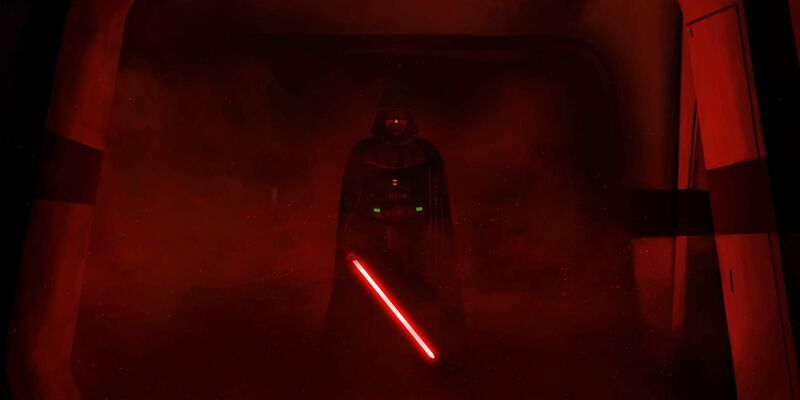 The events of Rogue One takes place at the height of Vader’s power, so it would be almost impossible to not include him in the film. When Disney announced the plot fans predicted Darth Vader would be in the film. Not only that but fans quickly figured out Darth Vader’s role. They correctly predicted the film would end with Vader boarding Leia’s ship. Ben Solo dreams of being just like his grandfather, Darth Vader. He turns to the dark side and become the evil Sith Lord Kylo Ren. He’s a skilled Sith with extraordinary powers. Clearly, he had to learn these skills form somewhere. 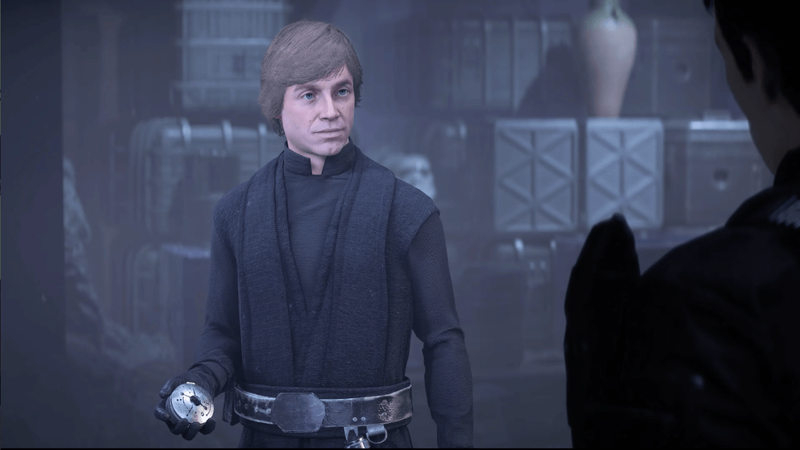 Fans theorized that Kylo learned from the greatest Jedi, Luke Skywalker. The Force Awakens gives Kylo no backstory. The film starts with Kylo already wreaking havoc. Additionally, Luke has gone into hiding because of Kylo’s rise to power. Fans correctly predicted that Luke trained Kylo and felt responsible for his actions. The guilt drove him to go into hiding. Although, there’s one little change. In The Last Jedi, Luke does train Kylo and senses the dark side in him. He goes into hiding after attempting to kill Kylo. The Star Wars films features the countless ends of Stormtroopers. Now a moment of silence for these brave…oh, wait…nobody cares about Stormtroopers. The Stormtroopers are nameless, faceless and disposable. However, the sequel trilogy gives the Stormtroopers more depth. 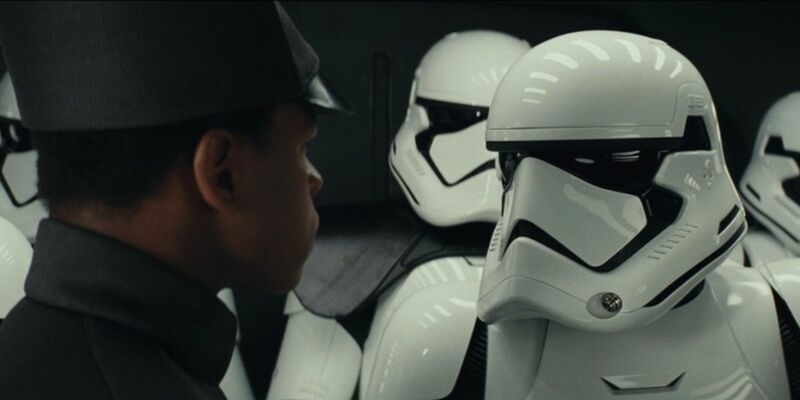 In particular, it focuses on Stormtrooper FN-2187 or Finn. Finn betrays The First Order and later joins up with the Resistance. During a battle, Finn encounters another Stormtrooper. Fans dubbed this character TR-8R. Many noticed the two characters seemed to know each other. Fans predicted they were friends that fought alongside each other. In fact, the theory’s confirmed in the novel Before The Awakening. Finn and TR-8R went through training together and became close friends. According to the novel, TR-8R felt personally betrayed by Finn and wanted revenge. It appears that the Force is strong with many Star Wars fans. That’s the only explanation to how they create these wild theories. For instance, a fan fiction writer predicted the Force bond between Kylo Ren and Rey. After Force Awakens, a fan wrote a story which featured the Force bond and the fan believed Kylo creates the bond when he interrogates Rey in Force Awakens. This makes it possible for them to communicate. The fan’s theory was incredibly similar. Indeed, it’s one of the most accurate. In the Last Jedi, Kylo and Rey have a special connection. It makes it possible for them to speak with each other from across the galaxy. Supreme Leader Snoke creates a mental bridge between them to make it possible. However, this Star Wars fan was ahead of the curve. The Star Wars producers should have known that there’s no clue or detail fans won’t notice. For example, The Force Awakens trailers had fans asking the same question. “Uh, where’s Luke?” He was noticeably absent from the trailers. This resulted in a million different fan theories. One theory suggested that he became a Sith Lord called Kylo Ren. Of course, that theory was way off. However, there’s always that one fan that figures it out. 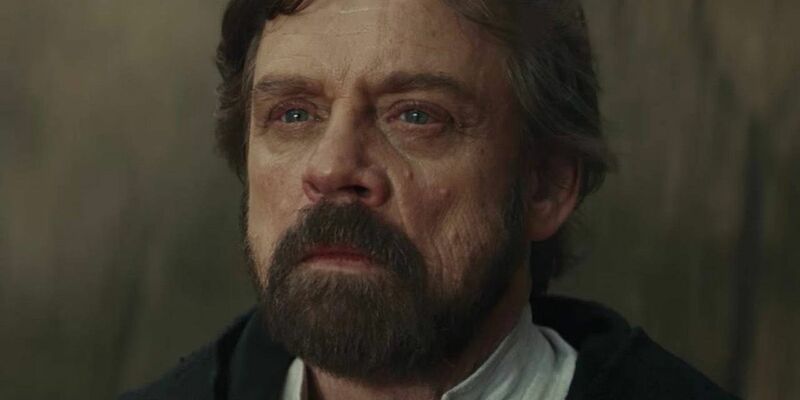 The fan believed that Luke went into a self-imposed exile, possibly because he felt the Jedi were bad for the universe. The fan was eerily accurate with the prediction. The only thing the theory missed was his training of Kylo Ren and Ren’s turning to the dark side. 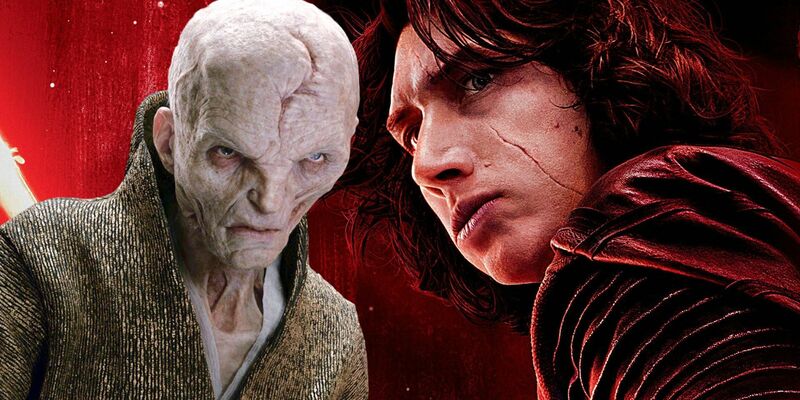 From the very beginning, fans predicted that Kylo Ren would turn on Supreme Leader Snoke. They theorized that Kylo would turn to the light side of the Force. Most fans assumed it would happen in the final film. However, a new theory emerged after the release of a Last Jedi trailer. The trailer alludes to Kylo going rogue and betraying Snoke. The theory suggested Kylo turns on The First Order to save his mother, Leia. It also predicted that Kylo would betray Supreme Leader Snoke in the second film, not the third. The first part of the theory was wrong, but Kylo does betray Snoke. In fact, he teams up with Rey to defeat Snoke. Regardless, Kylo doesn’t become one of the good guys. Instead, he wants to rule the galaxy along with Rey. Luke Skywalker is a powerful Jedi that brings balance to the Force. He goes from being a naive farm boy to a fearless Jedi. It’s safe to assume there would be no Star Wars without Luke. However, he only appears briefly at the end of Force Awakens. He’s such an important character that his small role created gigantic theories. Fans predicted that he’d take on a similar role as Obi-Wan Kenboi. 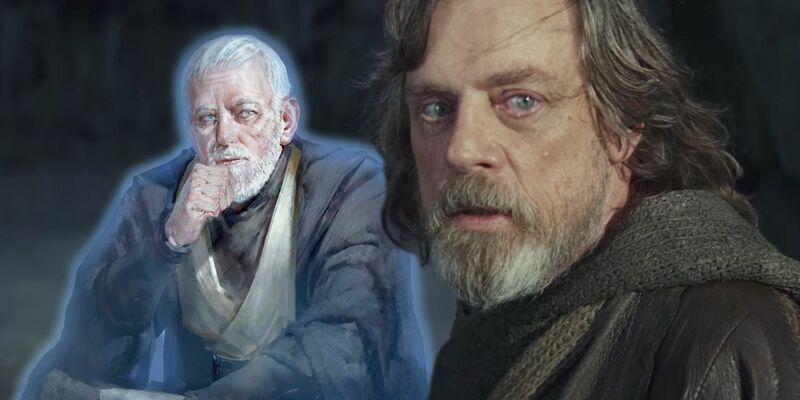 The theory was strengthen by the fact that Luke looks similar to Kenobi, since he has a similar robe and beard. They predicted he went into hiding much like Kenobi and they also figured he’d return to train another Jedi. In fact, the theory’s quite accurate, as Luke essentially becomes the Obi-Wan Kenobi of the new trilogy. He trains Rey and is the wise old man that’s not telling the whole story. In A New Hope, Luke Skywalker’s just beginning to learn about the Force. He soon becomes one of the most powerful in the galaxy. He’s always evolving and discovering more about the Force. However, fans theorized that it was time to add a new power to the Force. At the end of Last Jedi, Luke displays a new power never seen before. While in deep meditation, he’s able to be in two places. One is a hologram that can interact with other characters. This new power should have sent shockwaves through the fan base. However, they already figured he’d have a new power. 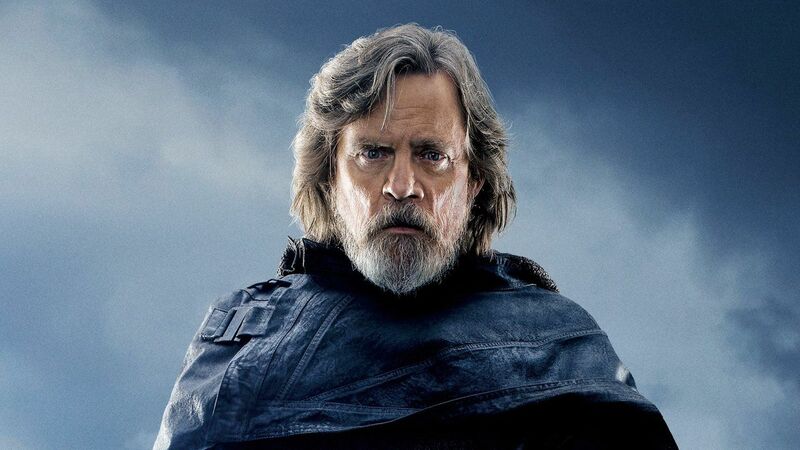 Mark Hamill revealed that he shot an elaborate scene with special effects. The fact that he shot such a scene tipped fans off and they correctly assumed the special effects were for his new powers. In 2016, Carrie Fisher sadly passed away. She became world famous for her role as Princess Leia and her passing devastated fans all over the world. Prior to her death, fans came up with many theories regarding the final instalment in the sequel trilogy. They noticed that Force Awakens focused on Han Solo and Last Jedi on Luke Skywalker. Fans assumed Episode IX would focus on Leia. Later, Mark Hamill confirmed the theory. He said, “She deserved the second act. 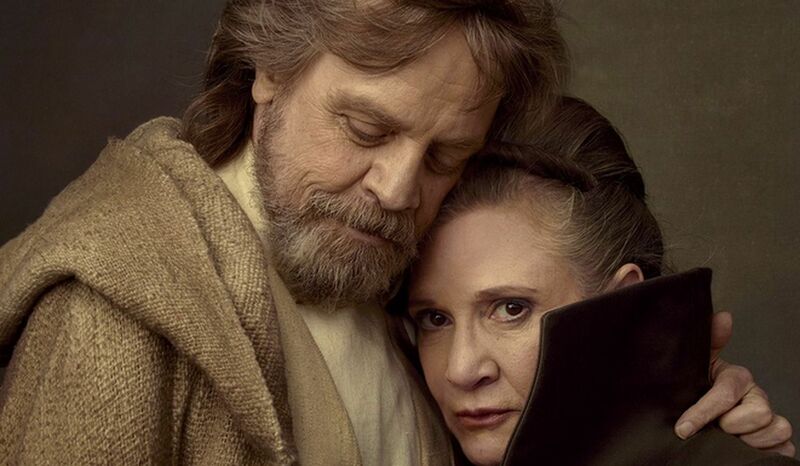 Harrison was more prominent in VII, I’m more prominent in this one, and she was meant to be more prominent in the last one.” Fisher completed filming of Episode IX before her passing and it’s her final film role. For over 30 years, one Star Wars theory continued to grow larger and larger. 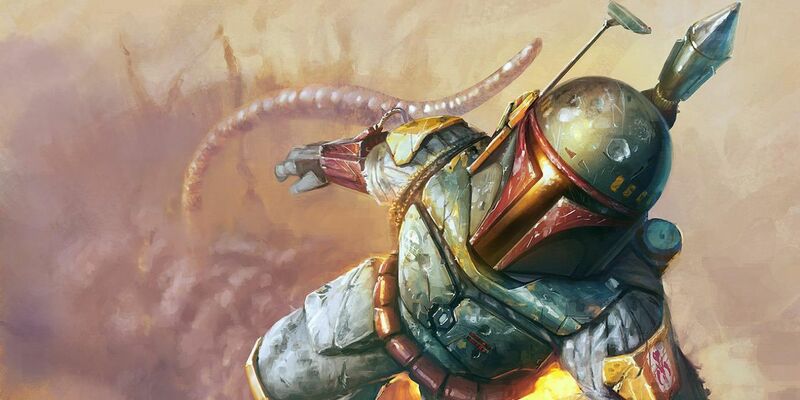 Fans refused to believe that the most feared bounty hunter in the galaxy was gone. Boba Fett might have been a villain but fans loved him nonetheless. However, his apparent demise disappointed fans. 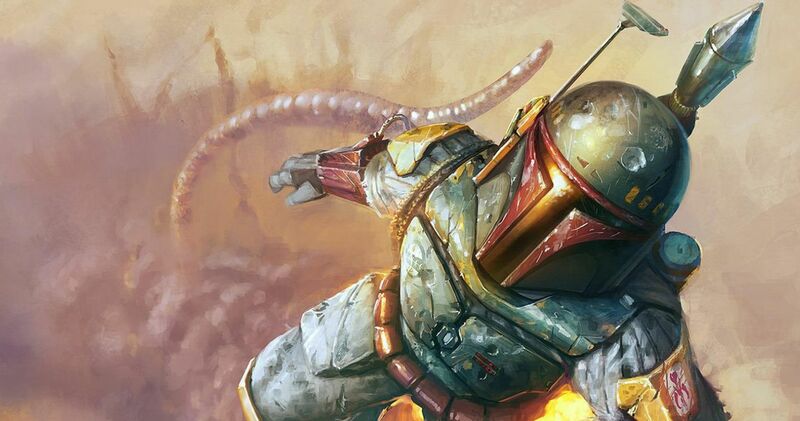 In Episode VI: Return of the Jedi, Fett falls into the Sarlacc pit and never returns. Fans were sad to see him go in such an anti-climactic way. However, other fans began to predict that he was still alive. This theory began because C-3PO points out that the pit has a slow digestive system. Fans felt this meant Fett could escape. Star Wars historian J.W. Rinzler confirmed Fett survived. He said, “Yes, he does. I have been in meetings with George where he confirmed Fett survived. If it comes from George then it’s true.” However, it’s unclear if Fett is still alive in the new canon. Star Wars is known for its earth shattering plot twits, as it’s left audiences speechless and in a state of shock countless times. However, now fans are always looking for the next plot twist. They assume that one of the new characters is hiding a secret. Poe Dameron’s one of the best pilots in the galaxy, but he’s also one of the good guys but fans have a tough time trusting him. Fans predicted that Poe’s a double agent secretly working for the First Order. They point to his interrogation as a clue since fans felt he gave up the information too easily. Later, The Last Jedi trailers alluded to Poe staging a mutiny, so fans felt this confirmed their suspicions. The theory is actually half correct. In The Last Jedi, Poe does stage a mutiny against his superiors. However, he’s not secretly working for the First Order, but he had a difference of opinion and took extreme measures. In the end, he fights against The First Order. Which of these did you know? Let us know in the comments!